A hush may come over the spectator when viewing this sublime glass lamp of simple curves and pristine textures. 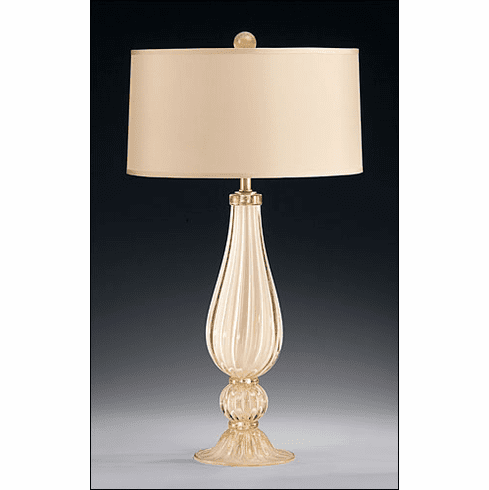 Hand-blown white and gold Venetian glass lamp with two lights and round hardback fabric shade, max. 100 watts each bulb, UL approved. Made in Italy; 16 3/4" x 30 1/2" h.